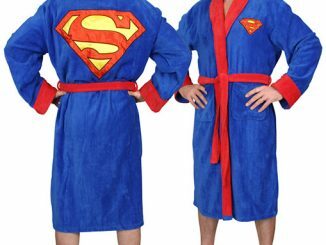 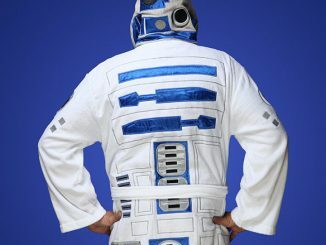 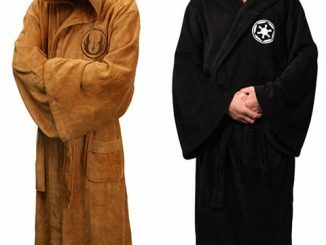 Trade in your boring white bathrobe for one of these colorful, luxurious Star Trek Bathrobes. 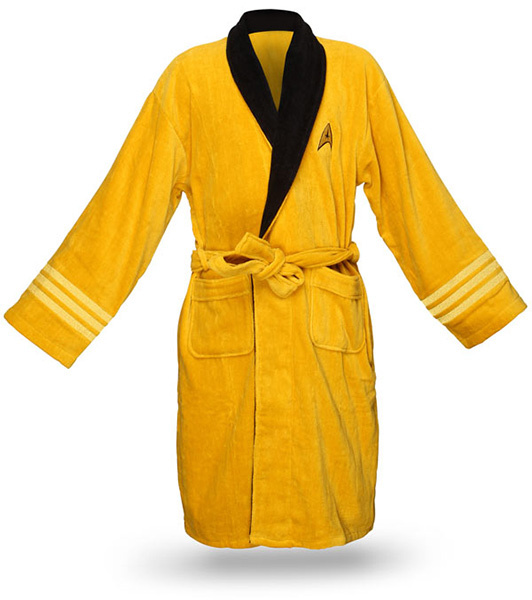 These officially licensed Star Trek bathrobes come in two versions: Captain Kirk gold or Spock blue. 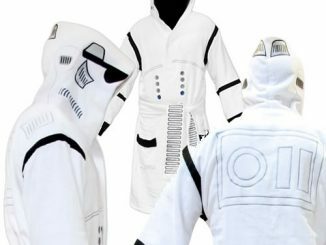 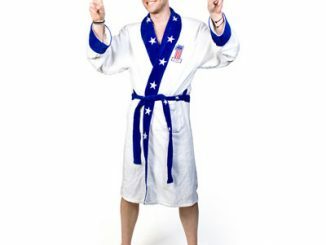 They are embroidered with the rank on the sleeves and the insignia over the left breast, making them almost look like official uniforms, except that they are 100% soft cotton terrycloth. 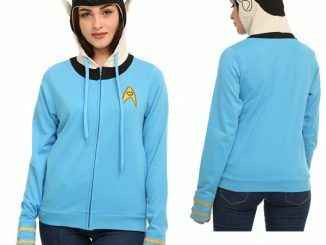 Any Spock or Captain Kirk fan will want a Star Trek bathrobe to keep them warm while enjoying their morning coffee. 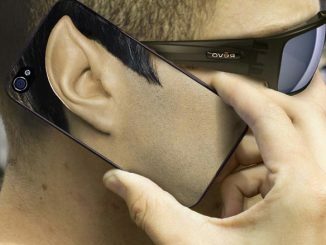 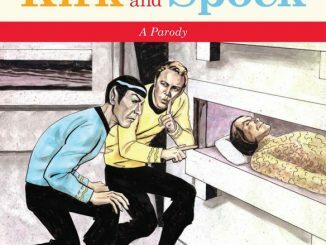 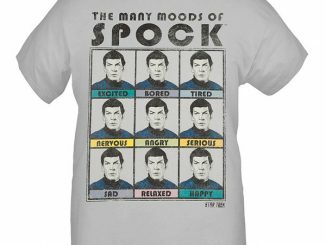 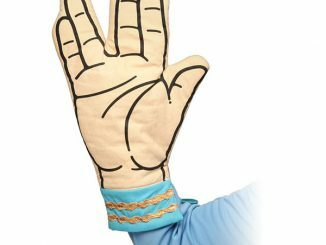 What else are you going to wear in between your Star Trek PJs and your Star Trek t-shirts anyway? 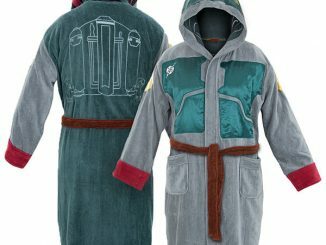 Star Trek Bathrobes are available for $49.99 from ThinkGeek. 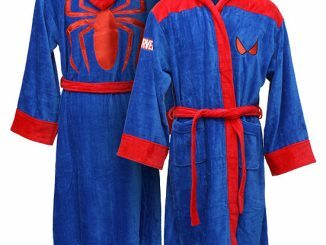 If this came in Expendable Red, I’d be all over it.